Heat the oven to 375. Line 2 large baking sheets with parchment paper or aluminum foil. Whisk flour baking powder, baking soda, and salt in medium bowl. 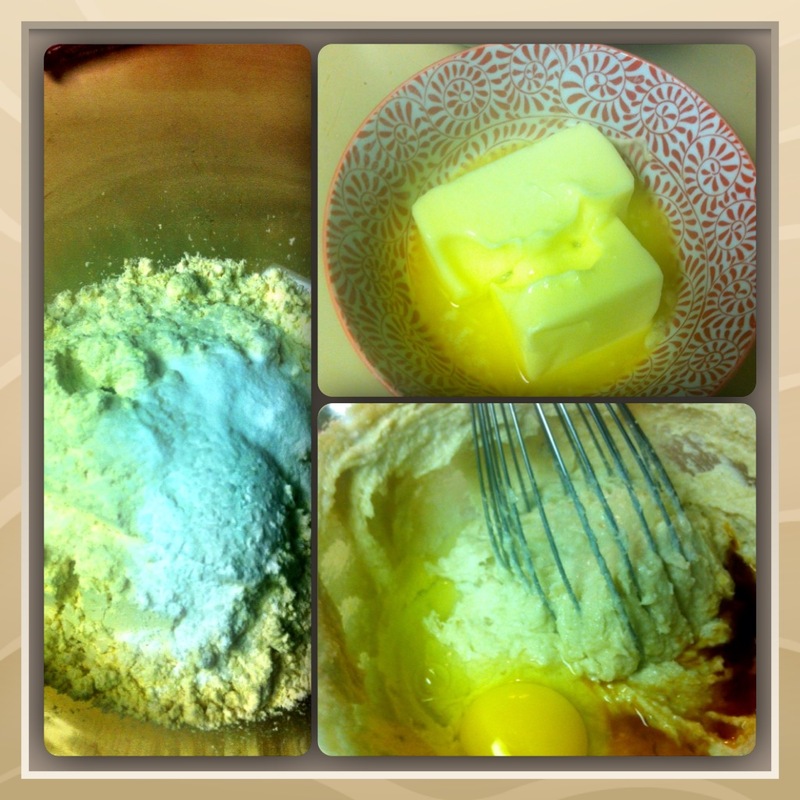 In another bowl, beat butter and sugars at medium-low speed (or hand whisk) until light and fluffy. Add egg and vanilla and beat on medium-low until fully incorporated. Scrape down the sides of the bowl with a rubber spatula. Add Flour mixture and mix until smooth with a wooden spoon. Gradually add granola, pretzels, chocolate and nuts, and mix until well incorporated, ensuring that no flour pockets remain and ingredients are evenly distributed. (Restrain yourself from eating the the dough). Scoop dough into balls, each about 1 1/2 tablespoons then roll between palms into balls (now its literally impossible not to eat the dough). Place cookies on prepared baking sheets, spacing them about 2 1/2 inches apart, 8-12 per sheet. (I did not follow this step exactly.. I tried to get more cookies on the sheet then recommended. These cookies spread A LOT, see picture below. 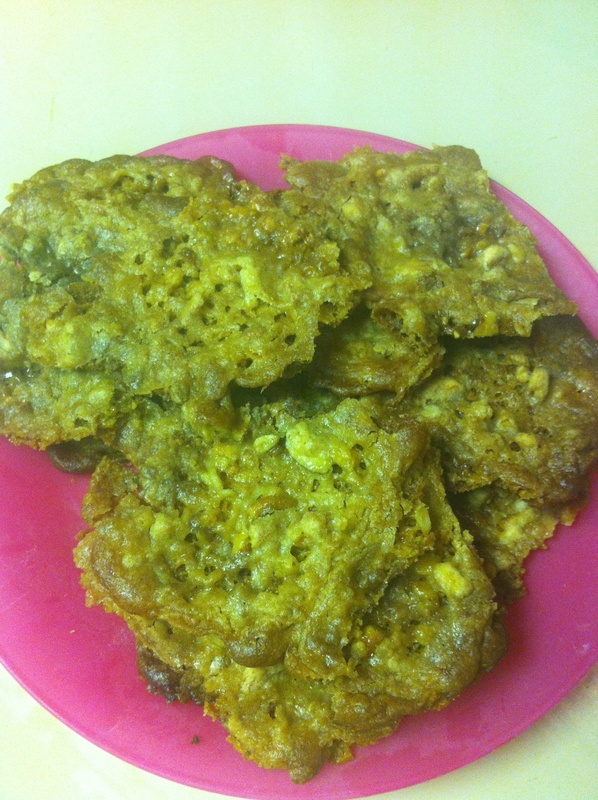 Try to space cookies with plenty of space to bake so they do not stick together.) Freeze dough at least 20 minutes or refrigerate for one hour before baking. 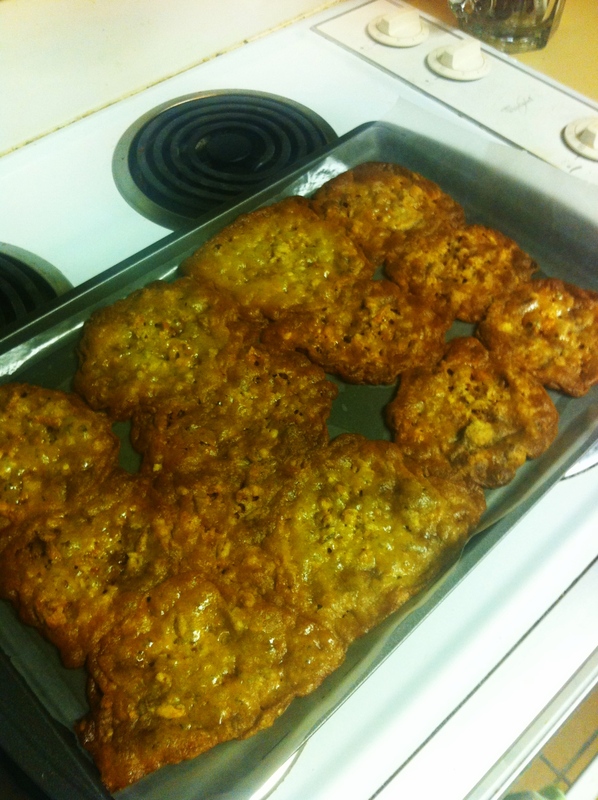 Example of what not to do- add as many cookies as you can fit on the baking sheet. Bake one sheet at time until cookies are deep golden brown about 13-15 minutes. 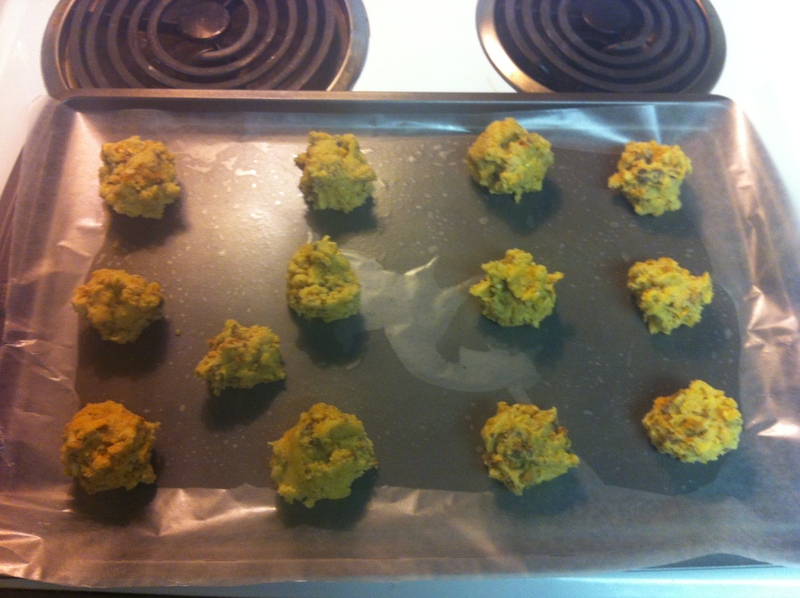 Let them cool completely on the baking sheets before moving to wire rack. They will be fragile. These are even better once they are completely cooled and become crispy. They would be great crumbed over a bowl of ice cream or as is! 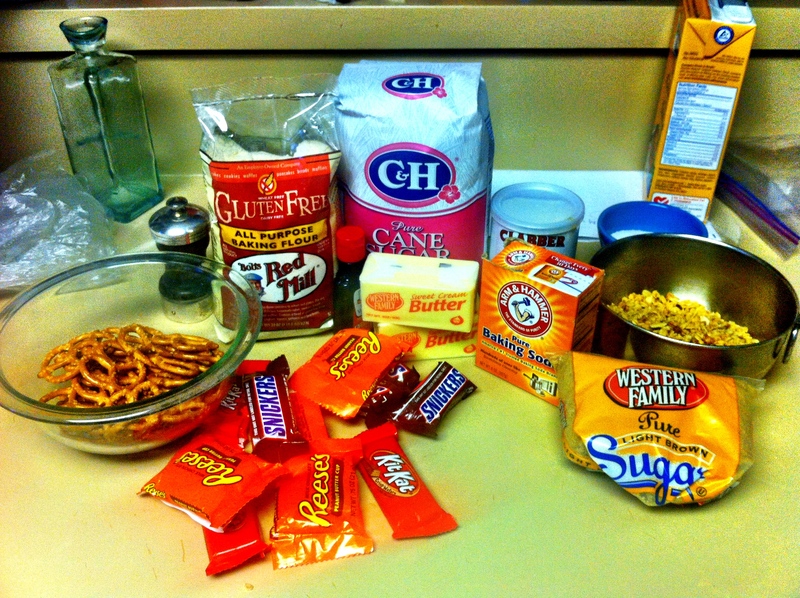 This entry was posted in Desserts, Recipes and tagged candy, Chocolate, cookies, granola by skibootsinthekitchen. Bookmark the permalink.